Tales from a tribble: Happy Birthday Aaron Copland! Hat Tip: Midwest GS [Gilbert and Sullivan on Twitter] from Illinois for informing me that today, Wednesday Nov. 14 is the great American composer, Aaron Copland's, 118th Birthday. 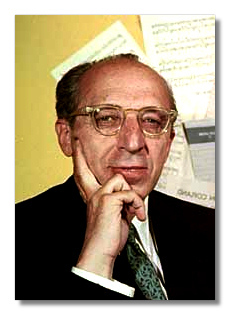 Known as the "Dean of American composers", Aaron Copland was born in Brooklyn, NY. in the first year of the 20th Century. From Aaron Copland, Wikipedia: "He is best known for the works he wrote in the 1930s and 1940s in a deliberately accessible style often referred to as "populist" and which the composer labeled his "vernacular" style. Works in this vein include the ballets Appalachian Spring, Billy the Kid and Rodeo, his Fanfare for the Common Man and Third Symphony. In addition to his ballets and orchestral works, he produced music in many other genres including chamber music, vocal works, opera and film scores." To honor this great American's birthday, please enjoy these wonderful pieces by this giant of composers. Please turn up the volume. Happy Birthday #118 Aaron Copland!